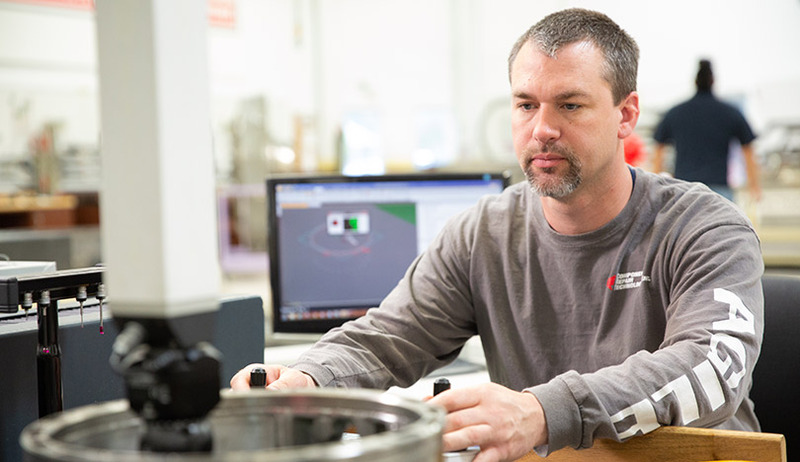 Serving the repair needs of the turbine engine industry for over 30 years. Component Repair Technologies, Inc. (CRT) is an FAA certificated repair station specializing in gas turbine engine component repairs for air, land, and sea. 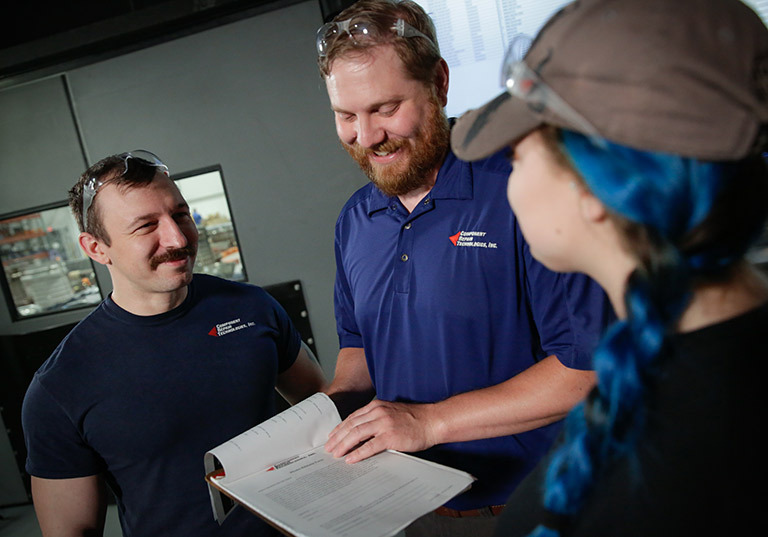 Our wide variety of processes and skilled employees have positioned us as leaders in the aviation, industrial, and marine turbine component repair industry. 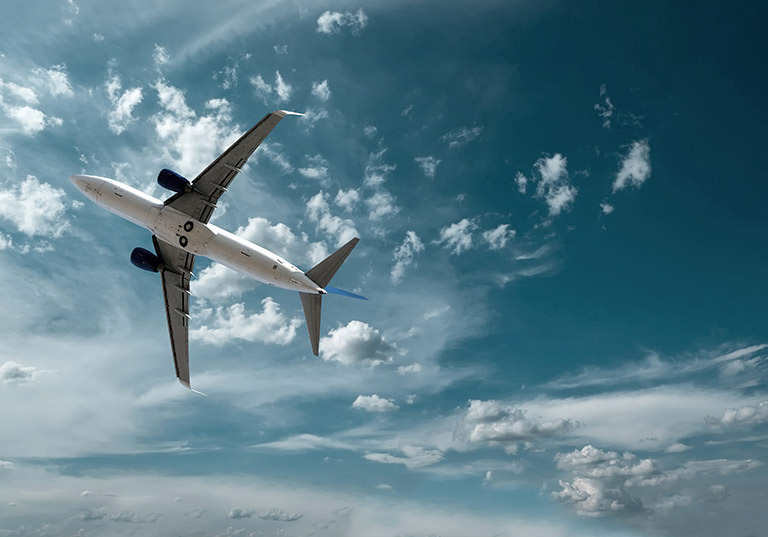 CRT has built a reputation for quality and responsive service by providing precision turbine engine component inspection, repair and overhaul services for the world’s leading turbine engine manufacturers and major airlines since 1985. I’m easily bored, but with CRT and the aviation industry, there is always something new to learn and entertain me. You can just walk up to anyone in the company and start a conversation but also there is a good amount of independence for you to be able to do your job. My internship allowed me to gain experience with knowledge used in multiple fields, which previous internships had not. I enjoy the ability to be creative and the freedom to be able to express changes for improvement. People leave me alone and trust me to do my work correctly. The managers believe in me to do my job. The availability of resources to learn is my favorite part of CRT. People want you to grow and develop your skills. There is on the job training available as well as classes if you want to jump into a new department. They invest in you. I like the people at CRT. My manager told me that I don’t work for him, I work with him. The teamwork. People help when things don’t run smoothly, and every day presents a challenge and an opportunity for self-improvement. Even with the company being as big as it is, changes get implemented quickly and it is very easy to see the impact of your work. It was a family atmosphere when I worked here at the start of the company and now, many years later, it is still a family atmosphere, just a bigger family. I really enjoy the diversity of the repairs that are available. The work is never boring and it is very easy to jump departments to get more experience. I enjoyed my internship because I was doing hands-on work. I was not filing and fetching coffee, I was doing things that impacted the company and the recruiting process. Cleanliness. It’s a machine shop but guys aren’t going home covered in grease and dirt which is very rare in the industry. 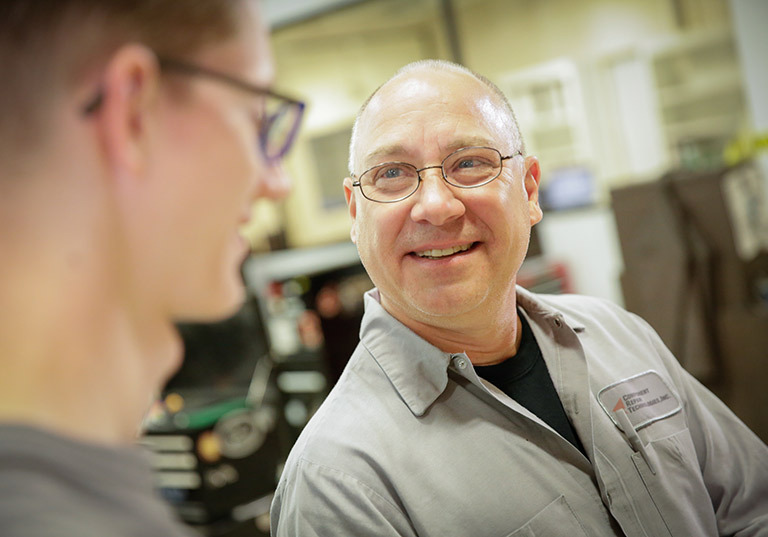 Since its early years, Component Repair Technologies has held events that are centered on the employee and their families. 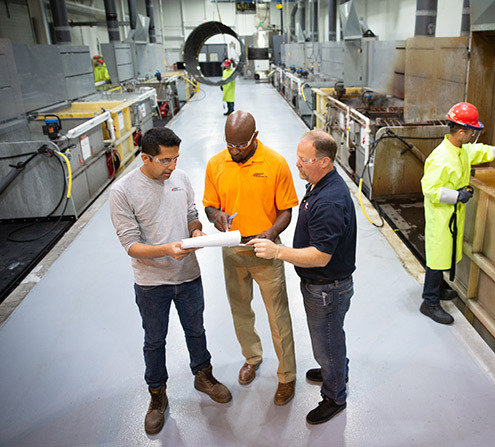 The company demonstrates its commitment to providing for the employees and family with 100% paid healthcare premiums, 401(k) matching, cash bonuses, and deferred profit sharing. Innovation is always a part of CRT. Being in the business of aviation repair we must always look for ways to improve our efficiency without sacrificing quality.